About JD.com CEO: Richard Liu - JD.com, Inc.
Richard Liu, also known as Liu Qiangdong, is the founder and chief executive officer of JD.com, China’s largest online retailer, biggest overall retailer, and the country’s biggest Internet company by revenue. The e-commerce platform’s current worth sits at a whopping $57.6 billion while Richard Liu is reported to have a net worth around $11 billion. After studying sociology at the prestigious Renmin University of China in the early 1990’s and spending much of his time as a student doing freelance coding work and honing his computer programming skills, Liu’s undergraduate was followed with an EMBA from the Chine Europe International Business School. Following college, Liu was hired by health product company Japan Life and held various roles during a two-year stint that included director for computers and director for business. In 1998, Richard Liu ventured out on his own, opening a small shop named “Jingdong” that sold magneto-optical products in the Zhongguancun High-tech Industrial Park region in Beijing. By 2003, Jingdong was thriving exceptionally well in Beijing, having expanded to 12 stores, but the severe SARS outbreak that year forced the country to remain house-bound, threatening Jingdong’s future. Liu quickly reconsidered his brick-and-mortar storefront and the possibilities for the same idea using an e-commerce model, and in 2004, JD.com was born. By 2005, Liu closed the standing Jingdong stores to focus his brand on e-commerce, selling a myriad of magneto-optical products, tech devices, consumer goods and electronics. In March 2014, WeChat owner Tencent spent $215 million and acquired a 15 percent stake in JD.com. As part of the deal, WeChat agreed to promote JD.com prominently on its social network of nearly a billion monthly active users. In the summer of 2014, JD.com went public in the US in one of the biggest Nasdaq floats of that year. Another notable shareholder for JD.com is the Walmart brand, who recently increased its stake in JD.com to 12 percent of the company. In 2017, JD.com announced its investment of $397 million in Farfetch – an online luxury fashion retail platform that sells products from boutiques and brands from around the world. The companies entered a partnership that thrives on the two companies’ respective reach in China and experience in luxury fashion. 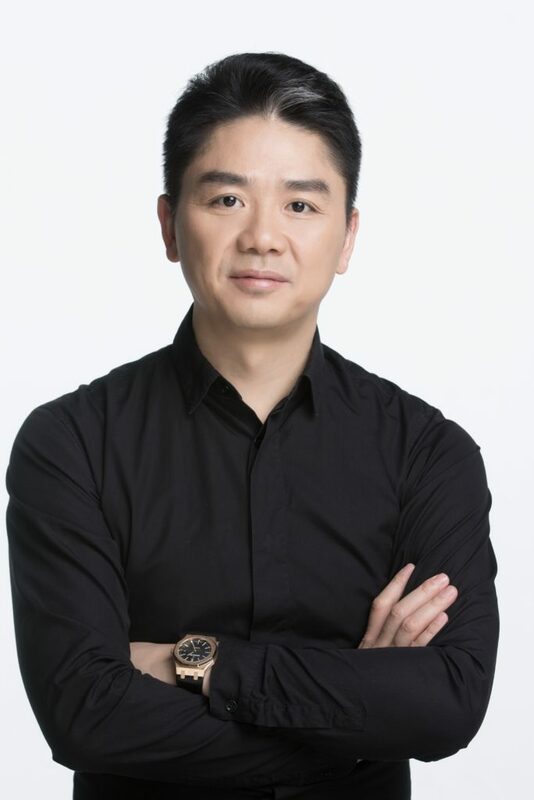 JD.com has a small presence in the United States, and Richard Liu travels frequently to the States for speaking engagements and business meetings with JD’s suppliers and partners. Liu has previously expressed his desire to expand JD.com’s global footprint in European markets and throughout the US, but to date the company’s growth has focused almost solely on Thailand, Indonesia and Vietnam. Like that of numerous other powerful Chinese companies, JD.com is under strict and tight control by its founder with Liu leading the firm since 1998 and continuing to dominate its processes through special voting rights. JD is also leading the global industry in innovative technologies for delivery, including research and manufacturing options for drone and self-automated delivery. In the beginning of 2018, JD announced a new in-car delivery service in partnership with leading electric vehicle company NIO that will allows customers to have their purchases dropped off in the trunks of their cars, whether their cars are parked at home, at the office, or in a wide range of other approved areas – the first initiative of its kind in China. JD.com is known in the market for its unrivaled delivery speeds – often same- or next-day in scope. In 2018, JD Finance – a JD.com affiliate, which was spun off from the company in 2017 – set up the Smart City Research Institute at its headquarters in Nanjing. The Institute aims to support the development of “smart city” construction through the use of artificial intelligence (AI) big data, and blockchain technologies. The blockchain-as-a-service product – rolled out months after the firm announced its plan for the project in the Summer of 2018 – is designed to aid enterprises wanting to develop their own blockchain applications, including those for tracking supply chain information, charity donations, certificate authentication and property assessment. The app aims to boost efficiency and to streamline accounting processes by keeping invoice data updated on a distributed ledger. That application comes as an innovative new case for JD.com's Blockchain Open Platform.